his collection contains Day Cream SPF15, Express-Night Serum and Eye Matrix Gel. All of these help to improve the skin elasticity and smoothness giving a more youthful appearance. COVA B TROX is the main active ingredient in MezoDerm skincare. 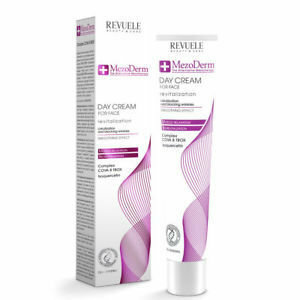 Day Cream Volume: 50 ml. Professional revitalizing Face Cream is specially designed for use in the daytime, it is ideal as a base for make-up which corrects wrinkles. Revitalizing Matrix-Gel is specifically designed for localization and blocking of wrinkles in the delicate eye contour area.